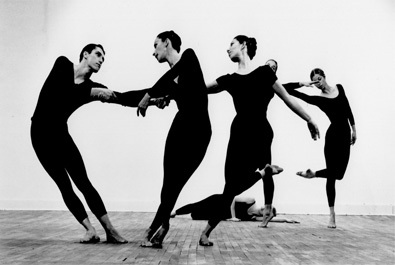 John Cage described this dance as “epic in character,” with sequences that followed or overlapped each other. Their order could also be changed, and some could be omitted--there were long and short (touring) versions. 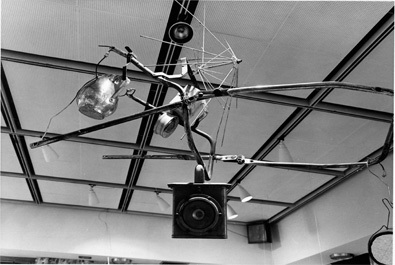 There were also a number of events devised by Rauschenberg (rather than a painted décor) such as small explosions that occurred at the rise of the curtain; at one point a “machine” crossed on a rope above the stage. 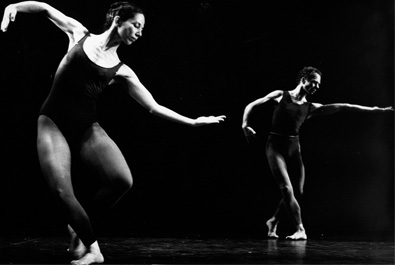 The dancers wore a basic costume of blue leotards and tights to which other garments could be added, or an accessory such as a belt to which various objects were attached. 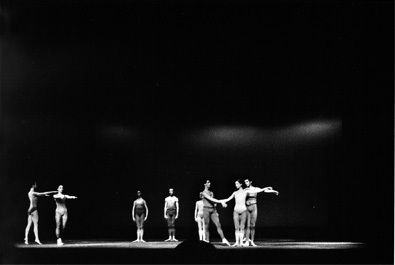 The number of dancers was flexible: the original cast consisted of six women and three men, to whom others could be added. 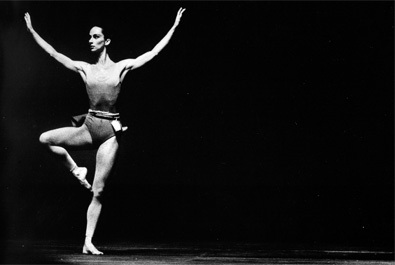 The dance was performed to existing scores by Cage, Atlas Eclipticalis with Winter Music, electronic version.